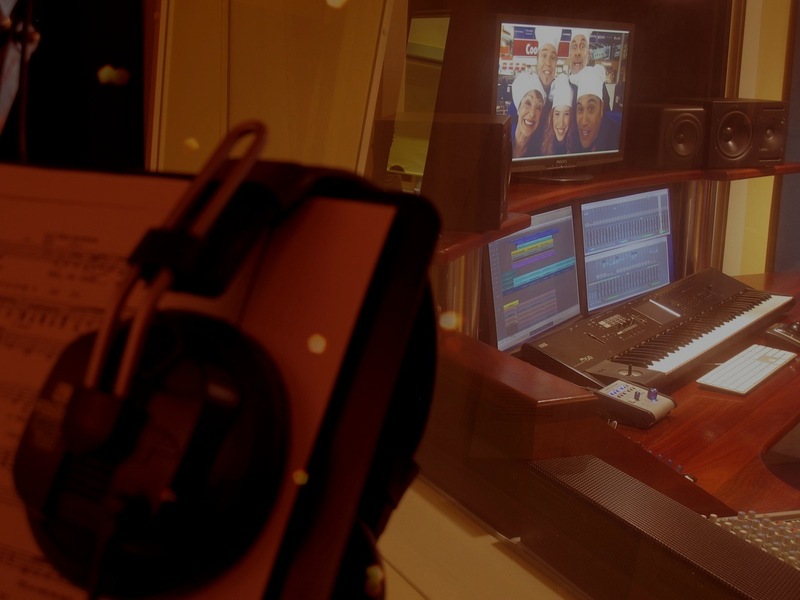 With over 25 years of creating music for the commercial world, AdMusic has the skills and experience to deliver a great music track for your marketing campaign. We also assist with song selection and licensing of existing music tracks, from library/production music through to hit songs. The track can be scored and finessed to suit your specific requirements. An original track is much cheaper than the cost of licensing a hit song. Most importantly, an exclusive license ensures your selected track won’t pop up on someone else’s campaign. When using a hit song, the primary aim is to capitalise on the instant recognition of the song. This generates ongoing recall of your product because of its identification with a familiar song. Many campaigns have used this strategy to great success because it can generate the levels of recall normally associated with a much larger media spend. In other words the cost of purchasing a licence for the song is offset by the saving in media costs. 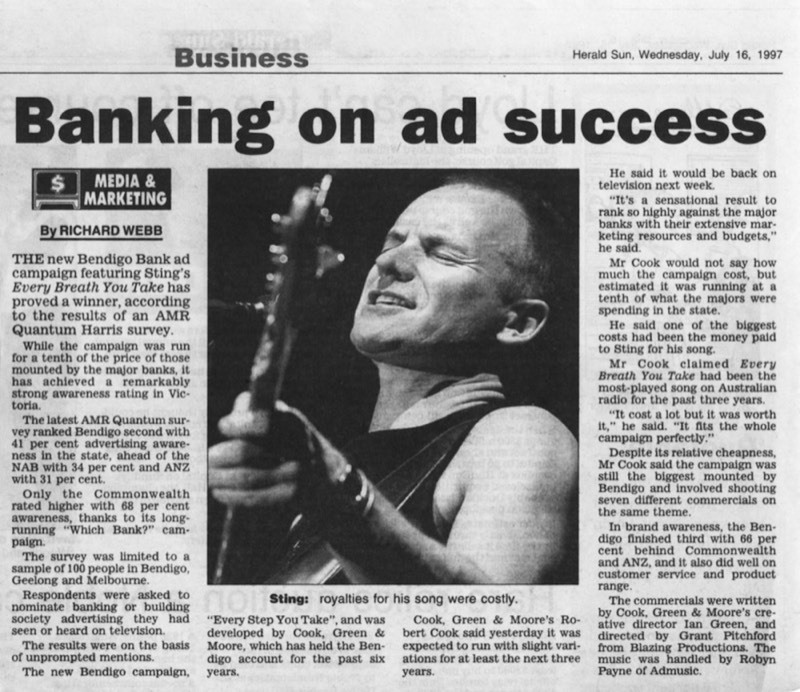 Bendigo Bank’s Every Step campaign (for which we produced the music) is a great example of this. In order to use a hit song, you’ll need to purchase a Publishing License. This can cost anywhere from tens of thousands to hundreds of thousands - far in excess of the cost of an original composition. On top of this, if you want to use the original recording of the song you’ll have to buy an additional licence for that too - this typically doubles the cost. The Publishing Licence will always be for a limited term, either 3 or 12 months, meaning another full fee will be due for each additional term. If you want to ensure no one else uses the song during your campaign, you’ll have to make sure you get an exclusive license from the publishing company. If available you’ll most likely have to pay extra for this. However once your licence has expired, the song will of course be available to other advertisers. A good way to reduce costs, is to have AdMusic produce a cover version or sound-alike for your campaign. Whilst you’ll still have to pay for a Publishing Licence, this negates the need for a licence to use the original recording, typically halving your licence fees. This also allows the song to be scored and finessed to suit your campaign. If you want to use a hit song simply because it has the right feel and/or lyric, but the cost of a licence is beyond your campaign budget, then contact us. We can produce a completely original track with the same feel and/or sentiment for a fraction of the cost. Be aware however that we can only use the hit song to assist with direction. Our composition will be completely original to ensure copyright is not breached. This is a quick, easy and relatively cheap way to get music for your campaign. You just need to select the track from a music library, pay the licensing fee and you’re on your way. Of course we can assist you with every step. Library music is typically licensed for a 3 month or 12 month term, so ongoing costs are involved if you want keep using it. AMCOS licensing fees are based not only on media and region, but per ad, so if you have multiple scripts, you’ll pay multiple fees. It can quickly add up to a sizeable sum. It’s not at all uncommon to hear your library music track pop up on another campaign. This is far from ideal especially if they both are on air at the same time. It happens more often than you might imagine. AdMusic can get rid of all of The Cons, by providing you with an Original Composition and an Exclusive Licence for your campaign. The campaign must be broadcast in Sydney or Melbourne on Commercial Free-To-Air TV or Commercial Radio. This ensures the music generates a minimum royalty which in effect subsidises your fee. Don’t worry if your campaign is outside of these regions - call us for a competitive price. Like the vast majority of production music, the track must be instrumental. Vocals are available at an additional cost. Similarly, complex tracks such are those with orchestra or big band would cost extra. We will need a brief in the form of an existing piece of music (such as a library track) to give us clear direction for our original production. Of course we can assist with music research if required at standard research rates. When you come to AdMusic, the music for your commercial will be in the highly skilled hands of composer/producer Robyn Payne. With over 25 years experience in both the advertising & music industries, Robyn offers a wealth of expertise. Because each production has its own set of criteria, each job is priced individually (POA). However we are often able to provide original music at a rate comparable to library music. We'd be pleased to discuss your needs and provide a quote.